I’ve found myself with a collection of unusual toothpick holders, most of which are about a hundred years old. 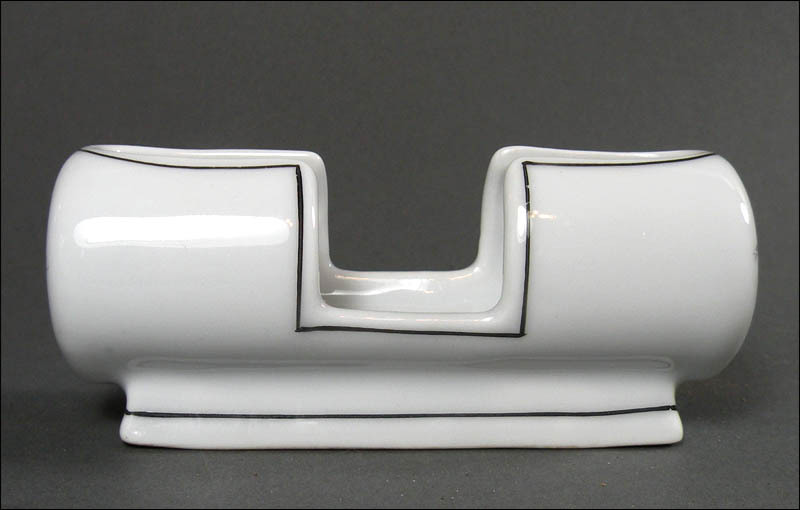 They were used in fine hotels and restaurants in the very early 20th century. 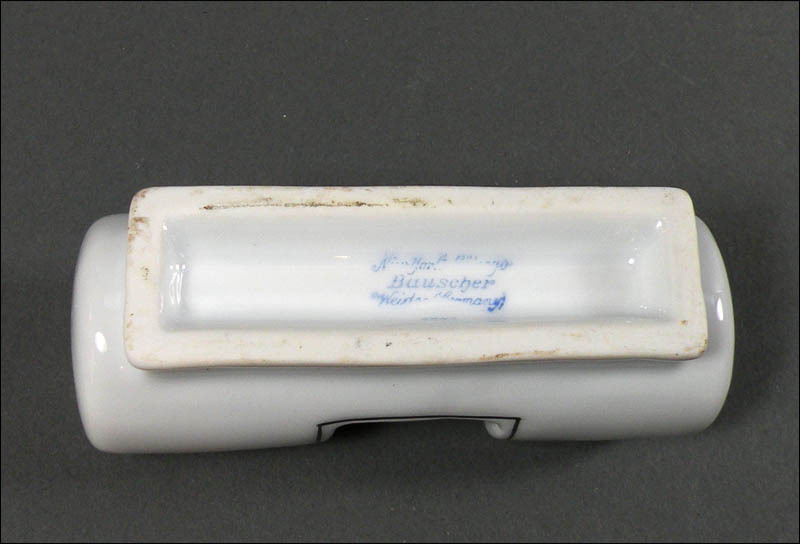 As tiny as they are, they were easily slipped into a pocket or handbag and were probably partly intended to advertise their establishments, all the while making the scofflaws feel like they’d gotten away with something! 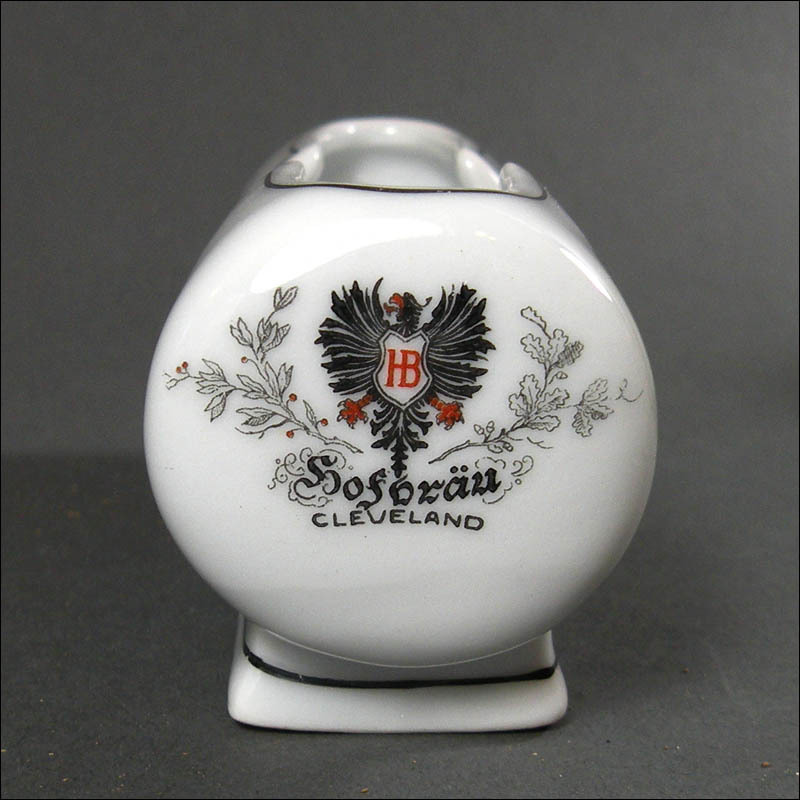 This is another very old piece, made for the Hofbrau or Hofbräu House that was located at 631 Prospect Avenue in Cleveland. It opened in the 1890s and was torn down to make way for the Cleveland Union Terminal that opened in 1929. 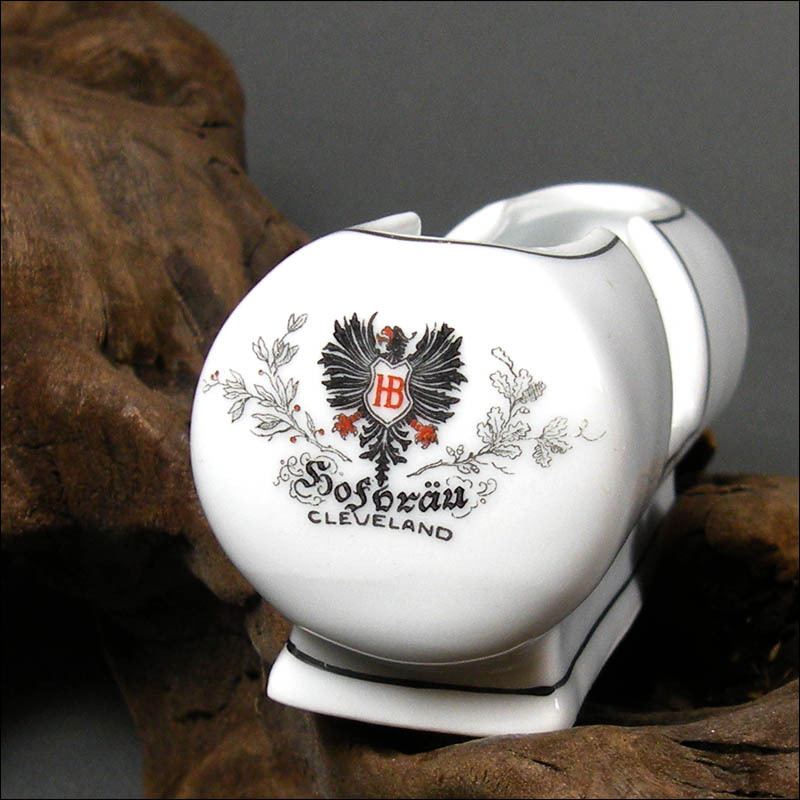 A Bauscher collector has written about a piece with the same eagle crest – and Hofbräu Cleveland – that was dated 1909. 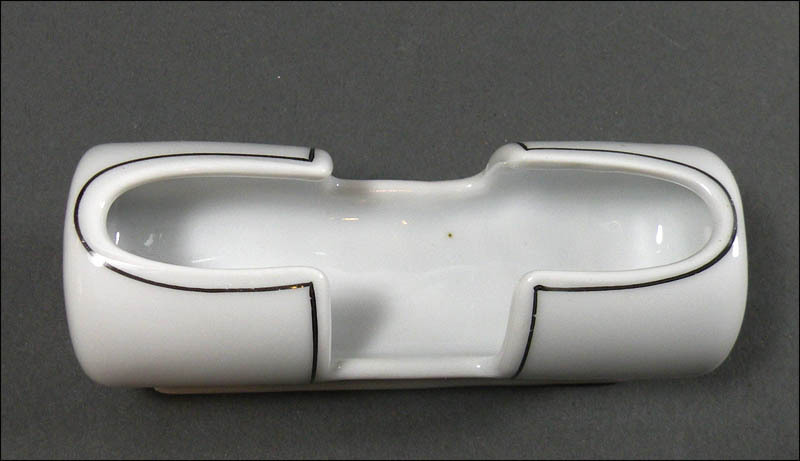 The piece is 3 ½” long by 1 3/8” deep by 1 5/8” high. Condition is excellent.